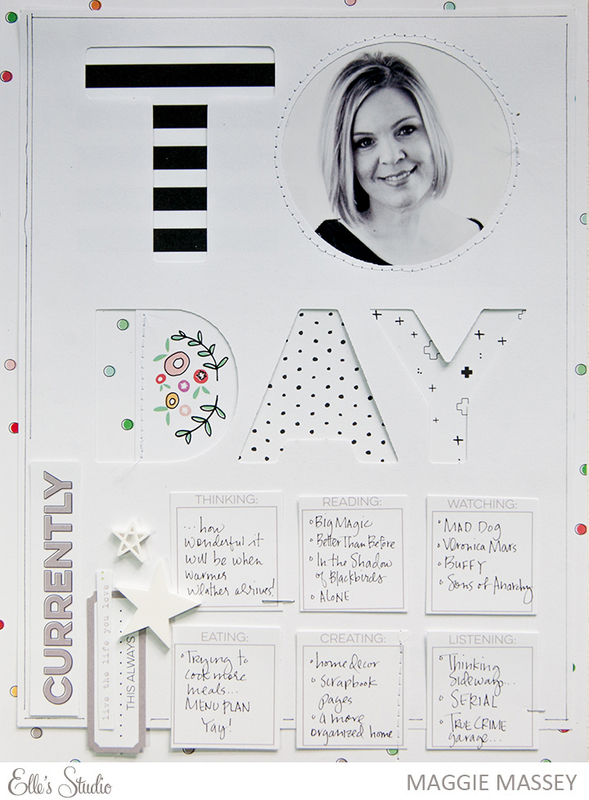 And the Elle's Studio March Kits have just GONE LIVE! And not just that - but Elle has just introduced a brand new collection as well! OK...first things first...let's take a look at the March Kits + extras, shall we? GAHHHHH! The bright colors in the Main Kit just make me so stinking happy! I can't wait for spring! 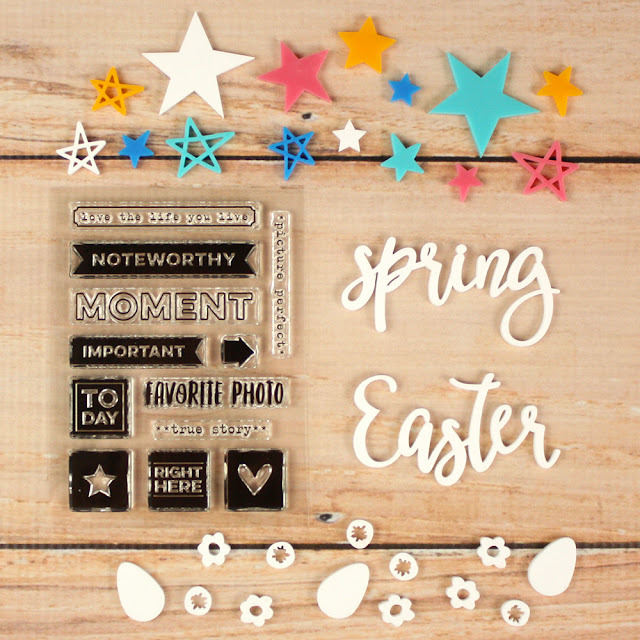 Here are all the little extras (stamps & acrylic pieces) that are available with the Main Kit this month...that Easter acrylic? Yep. Love. 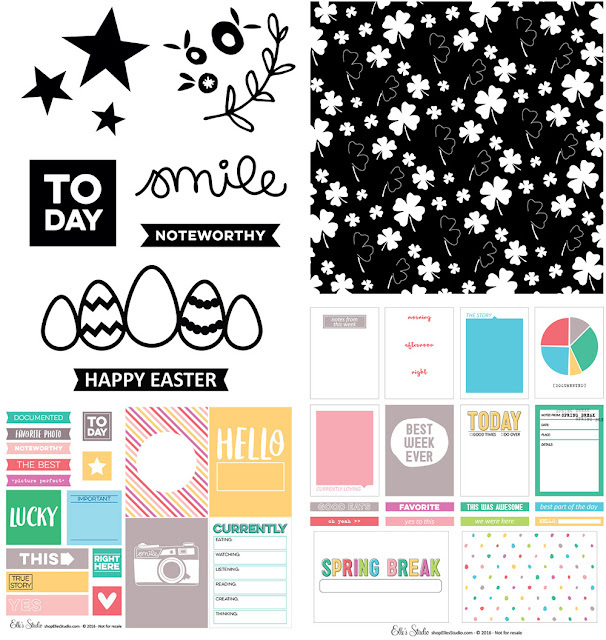 And here are this month's printables and digital cut-files...again - these colors! And I can't wait to use that Lucky Clovers cut file! 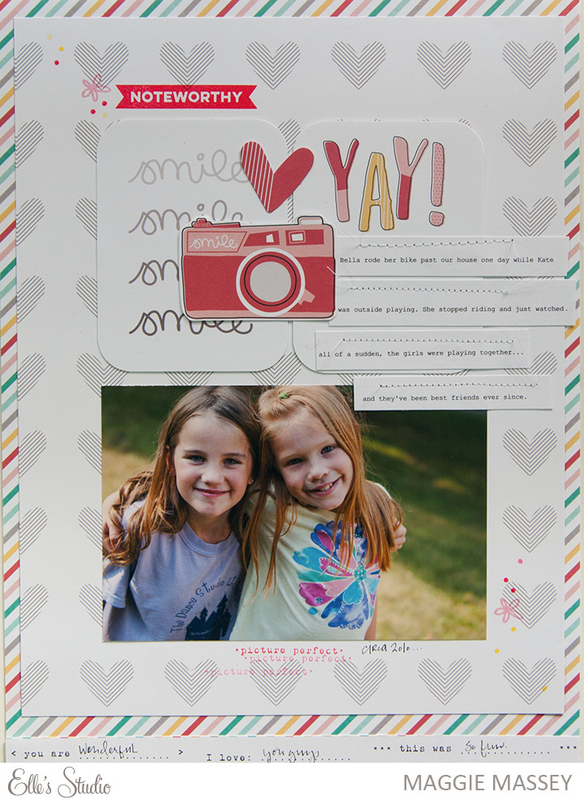 And did you see those Spring Break printables?! So awesome! For more info on these projects - and to see the rest of the Design Team's project, click here to be taken to the DT Gallery. 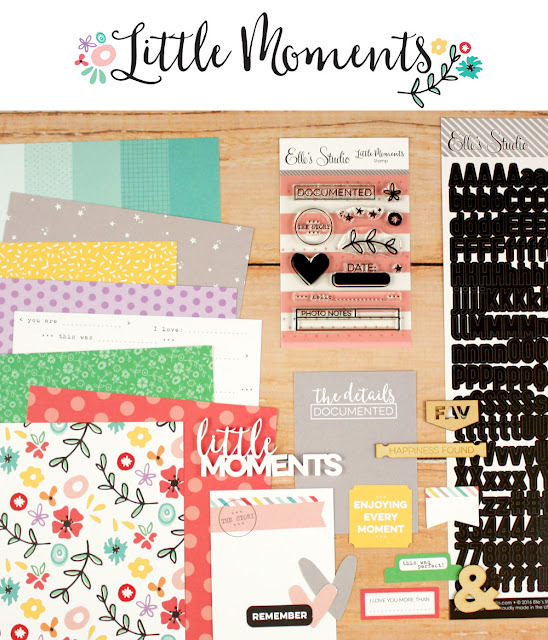 NOW...how about a look at the BRAND NEW Little Moments Collection??? And this isn't even everything! To see the entire collection, click here. Seriously, you guys...this collection is perfect for documenting everything...the selection and variety of colors and patterns is amazing! This is such an exciting month at Elle's Studio! Don't wait too long to be a part of it! ...don't forget: the limited edition, the exclusive March Kit is on sale right now for $9.99 - but at midnight PST that price will change to $11.99 - so make sure to get yours! Kit add-ons (which are created to coordinate with the main kit) are also limited and will no longer be available once they are sold out...don't wait!